Internet marketing tips. We cover E-commerce, e-mail marketing, and web marketing information for small business entrepreneurs, researchers, non-profits, and all merchants interested in the Internet. In most cases remarketing campaigns target visitors who did not convert or purchase on your site. If a visitor converts, they become a “customer” and thus no longer need to be “acquired”, they need to be “retained” or upsold. * Thus, once a visitor becomes a customer they are no longer the domain of the acquisition team, they are shipped off to the sales or retention department. (Depending on the size of your company, you may be involved in one or all three teams.) But if a visitor leaves your site without converting, they are still the domain of the acquisition team. “Remarketing” is task of targeting that segment and getting them to convert. Remarketing is hot in the internet marketing world. It is becoming easier and cheaper to implement, thus lowering the barrier to entry. In the online world, the term “remarketing” is used to discuss efforts to acquire customers who have already visited your site or opened an email. If someone has never visited your site, you cannot “RE-market to them”. As of today, remarketing is only used on the display network. 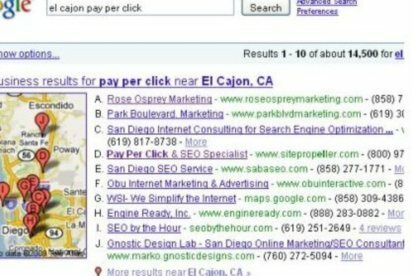 However, it seems that Google or MSN could use that data to customize your search network ads sometime in the future. With the focus on “personalized search” I would think this is on its way. 1. Remarketing segments will always be a subset of the general population. Thus, the impressions and traffic you receive are likely to be small. 2. Remarketing campaigns will cost less to convert since this segment has already demonstrated interest in your brand. We might think of their prior exposure to our brand as a kind of micro-conversion. If your brand is worth anything, remarketing should cost less than the general segment. 3. Remarketing segments are worth more to us than the general population. Feel free to spend more to insure these visitors see your ads. Two other quick things that you need to know about remarketing. One, this remarketing “magic” is created done by using tagging in your analytics/ ppc/ display tool. Your analytics /ppc /display guy should be able to help you. Keep it simple. There are many more advanced ways to use remarketing which are beyond the scope of this article. If you are not using remarketing, feel free to use it as I described. Even this is way beyond most companies’ capabilities (because they don’t get enough traffic, or lack the resources to analyze the data). * There are some exceptions to this case. In ecommerce, often time customers need to be reacquired each time they search for a new product. However, let’s ignore this situation for the sake of simplicity.